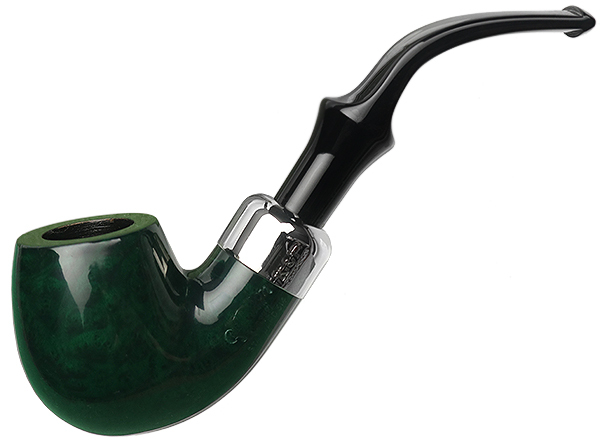 A hair more compact and a touch more muscular than the "312", Peterson's "314" bent Billiard is dapper here in green, one of the two characteristics of the brand's St. Patrick's Day pipes for 2019. The other? That it is in fact a System pipe. Since Peterson began the annual tradition of St. Patrick's Day releases back in 1998, there's never been a System pipe as part of the series. You'll find this piece, like all nine others in the lineup, available in both P-Lip and fishtail selections, this piece being the fishtail one.